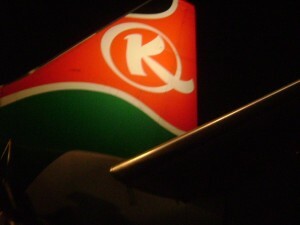 Kenya Airways (KQ) shareholders have been asked to approve a balance sheet restructuring. They have known this day was coming for the last two years, but the KQ capital restructuring details will still be an initial shock to many of them. The circular signed by Michael Joseph Chairman of the board cautions about the unsustainable debt levels at KQ and that the failure to restructure this, may lead to insolvency and closure. KQ’s Kshs 155 billion balance sheet has Kshs 113 billion of long-term debt and debt and 82 billion in current liabilities – resulting in negative 47 of KQ capital. The proposed deal will reduce the company debt by Kshs 51 billion and also unlock new funding. But this comes at a price and he cautions that minority shareholders will be significantly diluted, In this conversion of debt to equity, but they can still buy shares at a discount. Individual shareholders: Each ordinary share is being subdivided into 20 shares one of which is interim and 19 of which are deferred. A KQ shareholder with 1,000 shares today will end up with 1,000 shares (initially they will be 250 shares) and 19,000 deferred shares. The ordinary shares will be listed on the NSE. The deferred shares have no share certificate, carry no dividend or voting rights, and are not transferable (tradable). The creation of this class is to prevent an unlawful reduction of the company share capital. Board restructuring: the Government shall have two seats on the board, while KLM will have one. The banks will have 1 director for every 5% they own (through KQ Lenders Co.). 2/3 of the board are to vote on new CEO & finance director appointments, and on partnership agreements, fleet plans, and strategy. The circular notes the changes will enable faster decision-making and less conflict at the board. Shareholding after: Kenya Government 46.5%, Kenya Banks 35.7%, KLM 13.7%, employees ESOP 1.9%, IFC 0.5%, Mike Maina Kamau 4.3% 0.2%, others 30%. KLM and IFC significantly reduce their shareholding edit. A new shareholders ESOP is proposed to be created and qualifying employees can buy up to 2% of the shares. Shareholder Dilution: the existing Shareholders’ holdings of Ordinary Shares will be diluted by 95% as a result of the Restructuring and Employee Offer. A shareholder with 1,000 shares will end up with 1,000 shares (initially they will be 250 shares) and 19,000 deferred shares. The new shares will be consolidated after allotments are done i.e. mainly to the banks – so that meaningful trading can take place. (On completion, the company will have 7.4 billion ordinary shares and 28 billion deferred shares). KQ can’t also issue shares at discount to the nominal value, so a share split and an immediate consolidation will be done. For an illustration of the dilution Mike Maina Kamau remains with 64.4 million shares but that shareholding, which was equivalent to owning over 4% of KQ, is now 0.22% assuming he does not buy new shares. The Government of Kenya: When he presented his budget speech earlier this year, Treasury CS Henry Rotich spoke of plans to restructure the KQ balance sheet in which the government could play a critical role and bring on board other stakeholders. The government is will now providing in-kind contributions being the provision of government guarantees (not cash) of another 54 billion to US EXIM bank and Kshs 23 billion to Kenya banks. Also, a group of Kenyan banks has agreed to provide Kshs 18.1 billion in new financing. Eight Kenyan banks signed in on the deal on July 14. Kenya banks have two options of how to participate – either to convert debt into equity or to subscribe to a new “Kenya Lenders Co” in a secured debt arrangement. 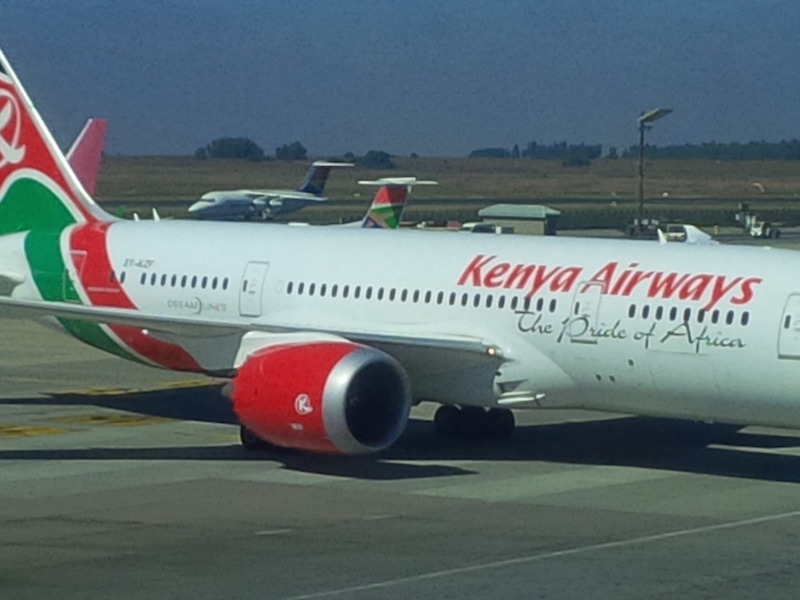 If any Kenyan bank that has lent to the airlines does not indicate its preference, it is deemed to have accepted the equity route – but a majority has opted for the scheme. These novel agreements are part of the new companies act that allows companies to discuss distress debts with banks as long as 75% of creditors approve. KLM: will invest Kshs 7.5 billion through in-kind contributions of Kshs 2.7 billion, and will also subscribe for Kshs 5 billion (Kshs 2.5 billion of share in two phases) after settling some terms on employee number and aircraft leases. Also, the recently criticized master cooperation agreement between KQ and KLM (signed in December 1995) shall be terminated. KLM in-kind contributions include the slot (takeoff/landing rights) at London Heathrow currently used by KQ, and certain IT systems. if the Restructuring is not implemented, there will be no amendments to any of the Existing Indebtedness and there will be no new money from KLM or the Government. shareholders representing over 56% of the issued and outstanding Ordinary Shares have indicated their intention to vote in favour of the Resolution at the EGM. Such Shareholders include the Government and KLM. Transactions are expected to be completed in August 2017, which includes the shareholders meeting (EGM) on August 7 in Nairobi and signatures from aircraft financiers and the banks. 75% of shareholders have to vote at the EGM for the KQ capital restructuring to move forward. This entry was posted in ESOP, IFC, Investing in Kenya, Kenya Airways, Kenya parliament, Kenya privatization, NSE investor awareness and tagged Kenya Airways on July 17, 2017 by bankelele. Kenya Airways (KQ) just released their quarter three operational results for December 31 (2016). Continuing on the restructuring changes that came after they announced their last financial results, theThe fleet and seats available for sale was 3% smaller as a result of off-loading idle aircraft from the fleet, through sale of Boeing 777s, and leases and returns of others. KQ increased the number of flights in Africa, while reducing capacity on others as a result of using Boeing 787s and Boeing 737s on the Middle East, China and India routes that were previously served with Boeing 777s. They added routes to Cape Town, as well as others on the Nairobi-Entebbe-Bangui and Nairobi-Doula- Bangui but suspended flights to Gaborone and Abuja. Last week also saw Kenya Airways largest shareholder, the Government of Kenya, flex its muscle by canceling a third Emirates daily flight into Nairobi that was to begin in June 2017. Emirates currently flies Boeing 777s twice daily between Nairobi and Dubai. This entry was posted in emirates, Kenya Airways, NSE investor awareness and tagged Kenya Airways on February 3, 2017 by bankelele. The airline’s story can summed up in three phases: First, was a typical African state airline flying unprofitable routes to far-flung destinations, and with operational and management issues. 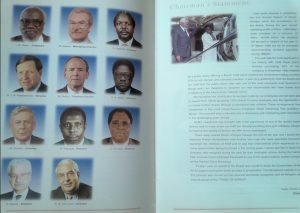 Then the early 1990’s saw a move to address the decline and a new board was formed, that was chaired by former Central Bank Governor Philip Ndegwa. It had a mandate to commercialize and privatize the airline. They hired Speedwing Consulting in February 1992 who appointed a new executive team that implemented an extensive restructuring involving fleet reduction, fare and route reviews, staff training and voluntary staff reduction. This was followed in January 1996 by the sale of 26% to KLM which was to see KQ grow as part of a global airline partnership. Kenya Airways was converted to a public company in March 1996 and its shares were listed on the Nairobi Stock Exchange in June 1996 in an over-subscribed IPO in which thousands of Kenyans bought shares. This reduced the government shareholding to 23%, and shares were later cross-listed in Uganda and Tanzania. 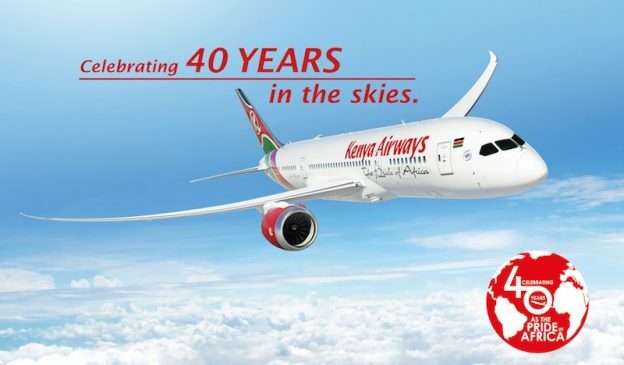 The third phase was the 2000’s decade when Kenya Airways embarked on a long expansion period under CEO Titus Naikuni, and there was a period where they greatly increased and modernized the fleet, and added almost a route every month, mainly to African capital cities. The expansion, however, came a time that the global and African airline space was becoming quite competitive at a time that KQ also faced new internal challenges. This was manifested in two years of successive record losses, strained network operations, and passenger relationships. They airline turns 40 at a time when it has embarked on an extensive restructuring program called Operation Pride. KQ’s new chairman is celebrated former Safaricom CEO Michael Joseph who joined the board in September 2016, and who is leading the search for a new CEO. 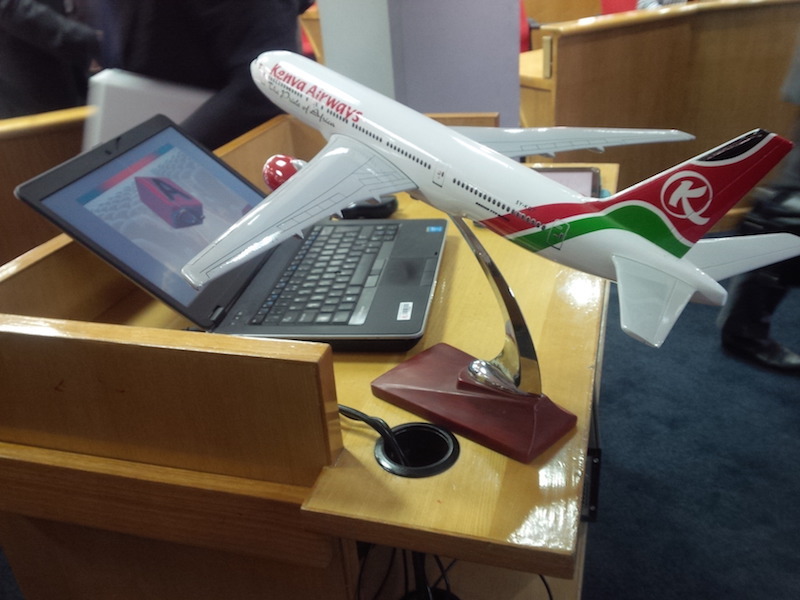 KQ has a leaner fleet of mainly new Boeing 787 Dreamliners and Embraer 190’s, staff and operations with a focus on partnerships and regaining profitability with the support of the Kenya Government. 40% discount across its network for flights booked from January 22 to February 5, (the 1977 date after it commenced flights) for flights taken between January 22 to December 31, 2017. $1,977 business class fares to Hong Kong, Paris, London, and Amsterdam. This entry was posted in Kenya Airways, Kenya economic growth, NSE investor awareness, NSE IPO and tagged Kenya Airways on January 22, 2017 by bankelele. 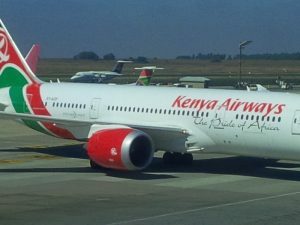 On Thursday this week Kenya Airways (KQ) released a statement announcing that CEO, Mbuvi Ngunze, would leave the airline in the first quarter of 2017. Mbuvi will have been with KQ for five years, 3 as COO and 2 rocky years at CEO when he had to announce consecutive record financial losses. Mbuvi was unanimously selected by the KQ board and appointed in June 2014, but almost as soon as he took over in December 2014, the bad news started. He undertook some painful decisions at the airline that were seen as unpopular – sale of assets (large idle Boeing 777 aircraft, and the Heathrow time slot) layoffs of pilot B777 pilots and other staff reductions – all firefighting tactics as he also tried to secure funding as losses eroded the airline’s balance sheet of the airline amid ongoing probes by a senate committee into the losses at the airline and an ongoing audit of revenue loss and fraud at KQ. Michael Joseph has been Chairman of the board for about a month, announced Mbuvi’s exit with the hint that the next CEO will likely not be a Kenyan. Mbuvi will assist in the succession process, as the new CEO is expected to continue in the current turnaround plan, who goals in the short-term are still an improvement in liquidity and the reduction of the overall debt. This entry was posted in Kenya Airways, NSE investor awareness and tagged Kenya Airways, Mchael Joseph on November 26, 2016 by bankelele.